Note: This is Part 2 of what is becoming a three part saga. 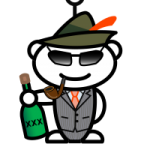 Here are links to Part 1 and Part 3. No, the title is not hyperbole. 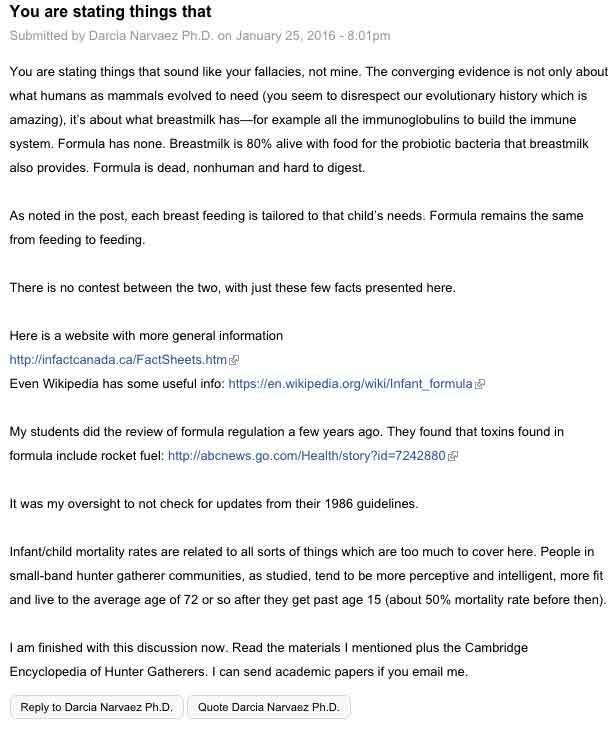 Dr Darcia Narvaez Ph.D. and professor of Psychology at Notre Dame University, apparently thinks that powdered infant formula contains rocket fuel. First, a little context. On January 24, 2016 Dr. Narvaez posted this article, about the dangers of infant formula. I responded, both on this blog and in the comment section. Many of the comments have since been deleted. What began as a minor comment war quickly devolved into a dive down the rabbit hole of pseudoscience. I commented on this article, pointing out that the FDA does in fact regulate breastmilk and that I couldn’t find any reputable source for her “toxins” claim. In addition you removed the “toxins” part of the quote but have not addressed the error. At least the article now does not claim that formula contains toxins. You see, the whole “toxins” language upsets me deeply. Saying that you think formula is not as healthy as breastmilk is one thing, but stating that formula, which many mothers need, contains “toxins” needlessly creates fear when there is no evidence that powdered infant formula is toxic. Which is why I pointed this out. To be clear, she wrote this in the comments section of her blog, not in the blog post proper. 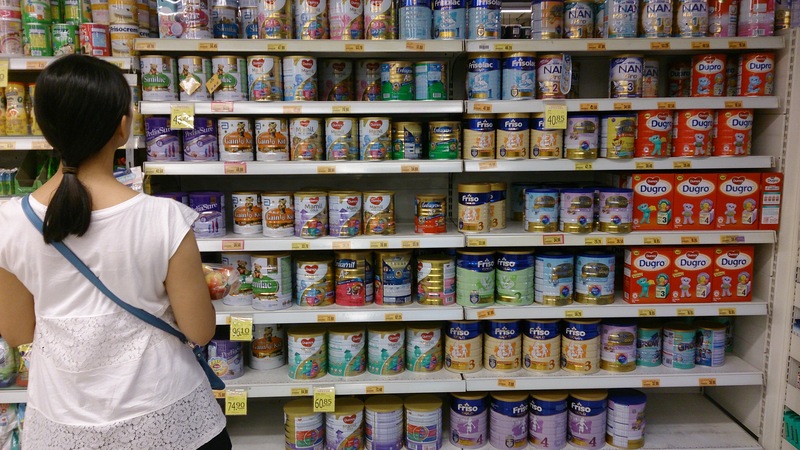 But… rocket fuel in baby formula? How can someone who holds a position at a well respected university such as Notre Dame make such an easily debunked claim? She appears to have no understanding of science or evidence based reasoning. The chemical found, perchlorate (ClO4−), is indeed a component of rocket propellants (specifically ammonium perchlorate, NH4ClO4) and perchlorate salts can have deleterious effects on thyroid function in high enough quantities. 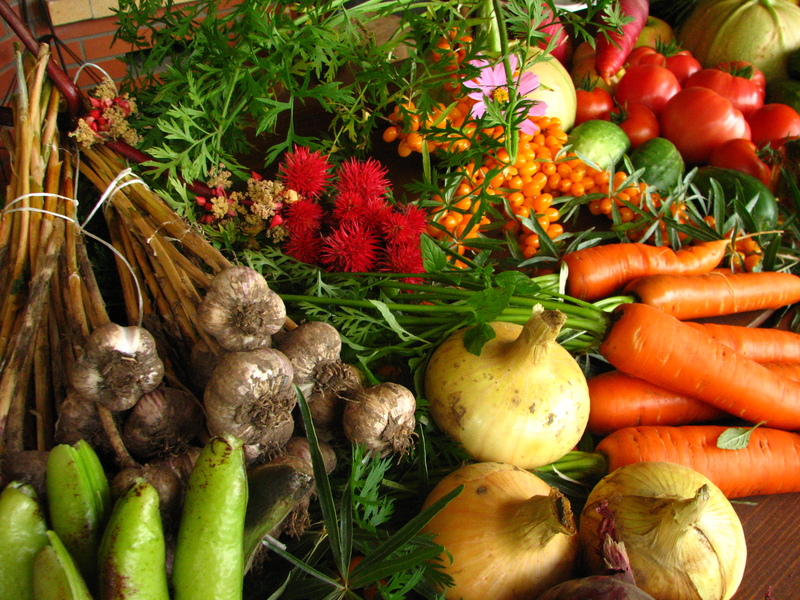 Specifically it decreases the thyroid’s ability to absorb iodine. However, due to its effects on the thyroid, perchlorates (potassium perchlorate, KClO4, in this instance) is in fact used by the medical community to treat hyperthyroidism (overactive thyroid). Perchlorates in general have varied uses and, in the right amount (greater than 0.007 milligrams per kilogram per day), can be toxic. It should also be noted that perchlorates are naturally occurring chemicals, although most likely the levels in our environment are higher than they would be due to manufacturing pollution. I read the study1)Schier, J. G., Wolkin, A. F., Valentin-Blasini, L., Belson, M. G., Kieszak, S. M., Rubin, C. S., & Blount, B. C. (2010). 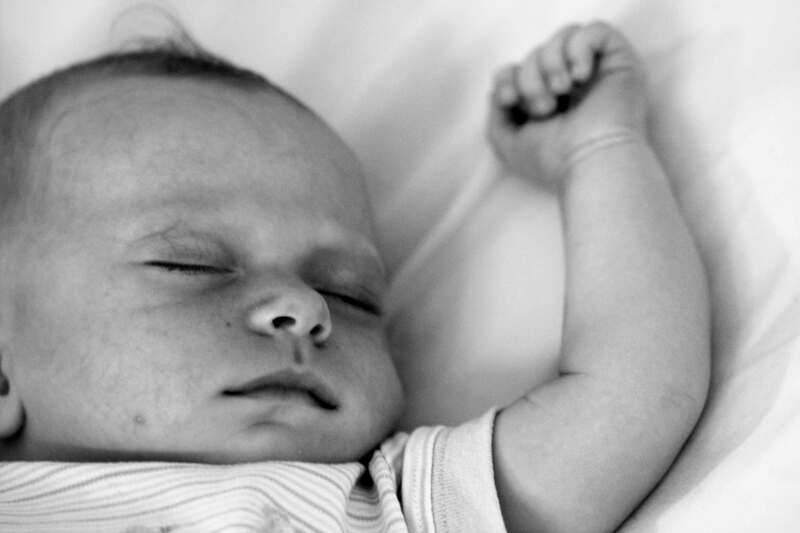 Perchlorate exposure from infant formula and comparisons with the perchlorate reference dose. Journal of Exposure Science and Environmental Epidemiology, 20(3), 281–287. http://doi.org/10.1038/jes.2009.18 the News article covered and the actual paper’s results are far different than the news article’s headline. Given the low incidence of tap water contamination, the risk is relatively low, and did not appear to the CDC nor the EPA to be enough cause to recommend against the ingestion of infant formula. In short, the misleading statement about finding “rocket fuel” in infant formula is not backed up by the reference provided. I find only two logical possibilities here. First, that Dr. Narvaez actually believes that there is rocket fuel in powdered formula. I think we can dismiss this one as being (I hope) ludicrous. The second, and more likely, explanation for her wildly inaccurate statement is that she found the first news article that wasn’t from Natural News or Mercola that supported her claim and posted it, possibly skimming the contents. What’s more concerning is the fact that she promoted such pseudoscientific nonsense. 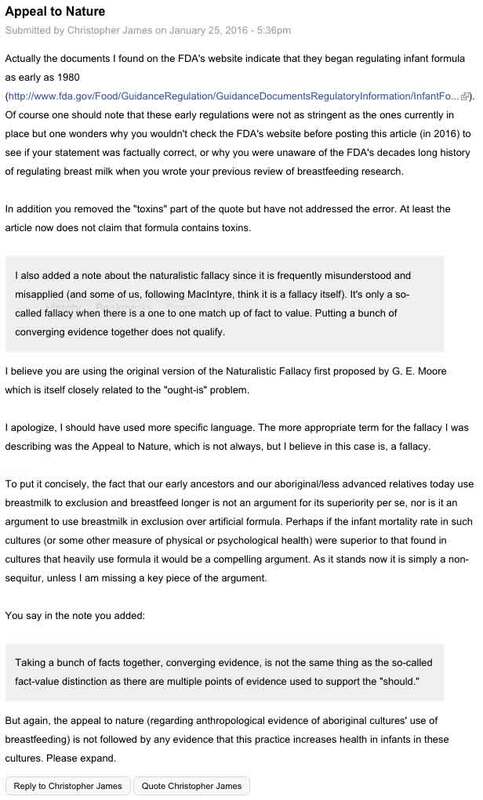 Infant formula does not contain rocket fuel (no one, apart from possibly Dr. Narvaez, would actually believe this). Infant formula does not contain “toxins”, and to say so without any evidence is dangerous. It will give mothers the unfounded fear that they are poisoning their children. I would expect this from a food blogger like Food Babe, but from a Ph.D. professor of Psychology at Notre Dame (hardly a bottom tier university) is simply astounding. The featured image for this article is Rocket Launch by Pixabay user WikiImages. It is available under a Creative Commons 1.0 Universal (CC0 1.0) Public Domain Dedication.